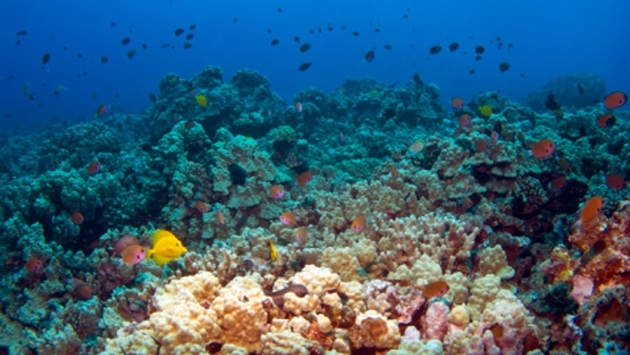 Will Hawaii Ban Chemical Sunscreens to Save Coral Reefs? Research suggests that oxybenzone, a key ingredient in sunscreen, contributes to coral bleaching and a state senator in Hawaii has proposed a bill to try to take action in preventing further damage. “A ton of sunscreen winds up in the global coral reef system every year—14,000 tons, to be exact—and research indicates that oxybenzone can lead to coral bleaching. Some studies suggest one drop is even enough to damage the reefs,” says a story on the bill in Conde Nast Traveler. The news doesn’t really come as a surprise, and divers already take precautions to prevent the bleed-off of lotions into the water, but the goal is to prevent further damage. According to Hawaii's Department of Land and Natural Resources, "researchers have found oxybenzone concentrations in some Hawaiian waters at more than 30 times the level considered safe for corals." There are also plenty of other, more natural sunscreen options that don’t use harmful chemicals. “Of course, the bill isn’t a suggestion to skip SPF on the sunny beaches of Hawaii. After all, there are two kinds of sunblock: Chemical blockers use ingredients like oxybenzone and octinoxate to absorb UV radiation from the sun, preventing it from causing damage. For more on using natural sunscreens in the proposed bill, read on here.